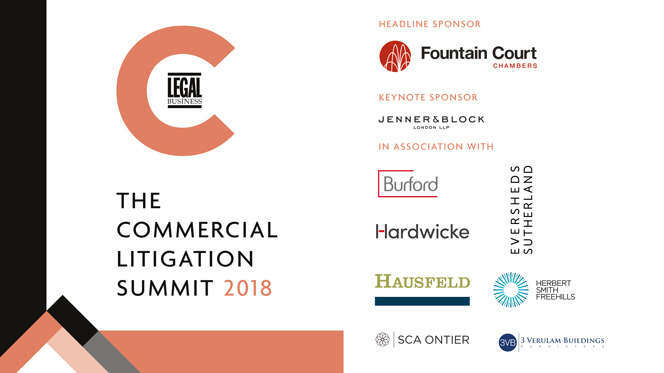 The Legal Business Commercial Litigation Summit – one of the top litigation conferences in the UK – returns for its fourth year, uniting well over 100 senior practitioners and clients to discuss the issues defining the modern disputes scene. 9.10am–10.00am Disputes funding – Changing the nature of litigation? The panel will address the growing importance of third party funding in disputes litigated in London and how clients and lawyers navigate the new economics of law. We also ask how litigation funding is changing the nature of claims hitting the courts. The panel will examine the issues threatening LPP following last year’s judgment in The Serious Fraud Office v Eurasian Natural Resources Corporation as well as mounting tensions between regulators and lawyers over confidentiality. The session will cover the current state of the law on litigation privilege and legal advice privilege in regulatory investigations and explore how clients can organise their affairs to maximise their protection. 11.30am-12.20pm Technology in courts – will it ever cut costs? The increasing importance of technology in litigation covers a broad spectrum: analytics, e-discovery, predictive coding, online filing, and court infrastructure. We chart the trends and ask the core question: when will the provision of technology start to cut – rather than increase – litigation costs? 1.20pm–2.10pm Disclosure reform – which side are you on? 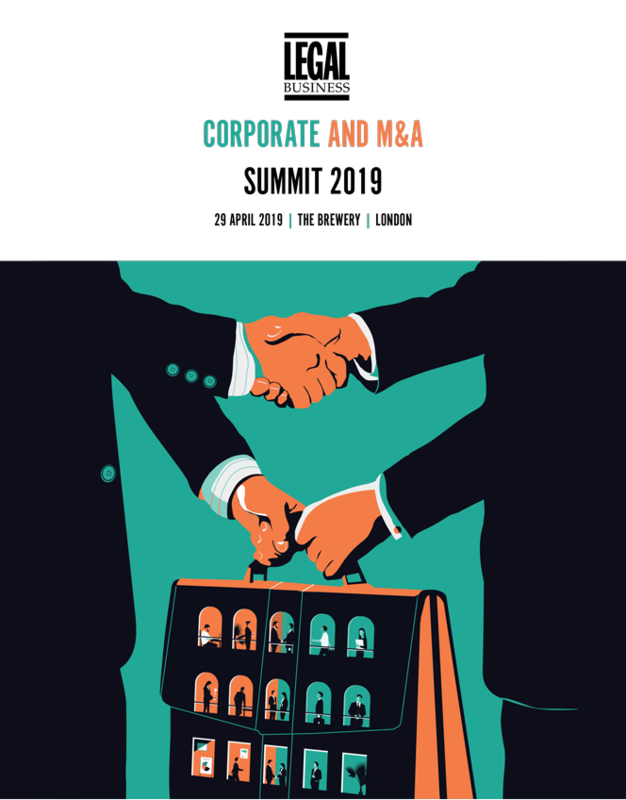 Current initiatives to reform disclosure are proving hugely divisive among the litigation community, with camps split between enthusiastic support and trenchant criticism. We debate the pros and cons of how the reforms are working and their impact on everyone involved. Strategies to head off litigation risk, including cyber policies and effective compliance. As well as addressing key risk topics, this session will discuss 2018 research highlighting how collaborative and efficient processes and pre-dispute protocols can help GCs avert litigation. Once litigation has gone beyond the point of no return, how do clients manage the process to minimise costs? And how can GCs keep control of the narrative through an effective PR strategy? After many false dawns, recent years have seen the emergence of substantive group claims, and the specialist firms ready to take them forward. We assess the prospects ahead.